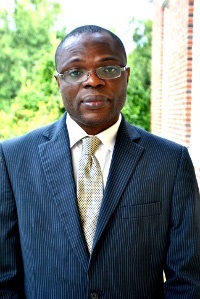 Dr. Yao Amewokunu is an Assistant Professor of Management in the Department of Business. He earned his Ph.D. in Business Administration and his MBA in International Management, both at Laval University in Quebec, Canada. Dr. Amewokunu’s teaching interests include: Organizational Behavior & Leadership, Operation Management, Organizational Policy & Strategy, and International Business/Intercultural Management. Some of his research interests include: Country Risk Assessment, Foreign Subsidiaries Management, Entrepreneurship and SME’s, and Intercultural Management. He has a number of published, submitted, and in progress articles. He has also made several presentations at national and international conferences.